Info: The shoe that started the Nike Air Jordan empire. 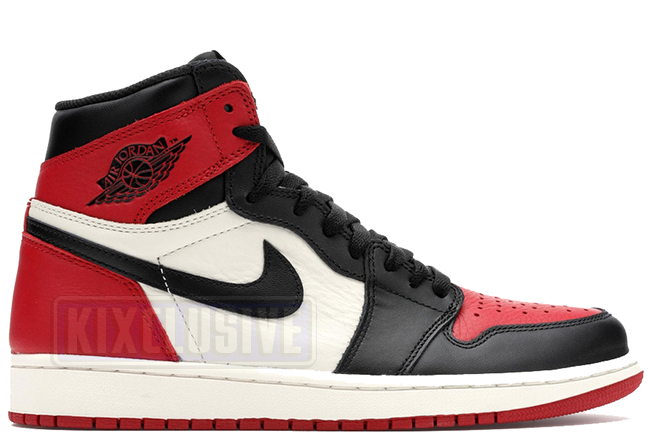 This is a brand new colorway featuring a black and red toe box and is cut high like the original. The shoes come in the original Nike Air box and an extra pair of red laces. February 2018 limited release.